My mind has shifted from all Christmas all the time, to a simpler holiday and one that makes me smile. Valentine’s Day is just around the corner, most of my Valentine’s Day activities and crafts revolve around my little ones. They have class parties, tiny notes for friends and lots of sweets. I like to try and sneak in a few grown up decor pieces that lighten up my home for the season when I can. Today I’m sharing one of those peices, a Valentine Chalk Sign that has brought a little love to my winter mantle. My very talented friends are also sharing Valentine projects with you today in this month’s Dose of DIY. Be sure to read to the bottom to see all of their creative ideas. 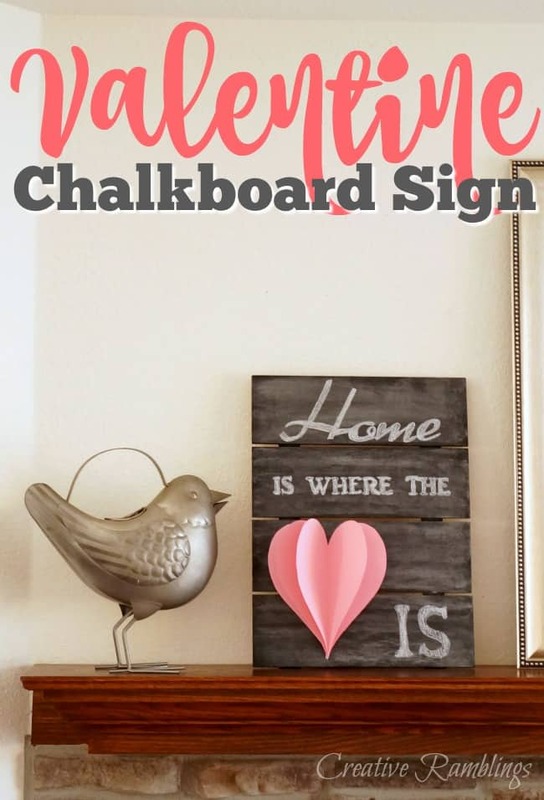 Here is what I used to create this Valentine Chalk Sign. This post contains affiliate links. I picked up a wood sign from this fall and painted it with black chalkboard paint. I have been using it as a photo prop and centerpiece for a couple of months. This week I opted to turn it into a sign. 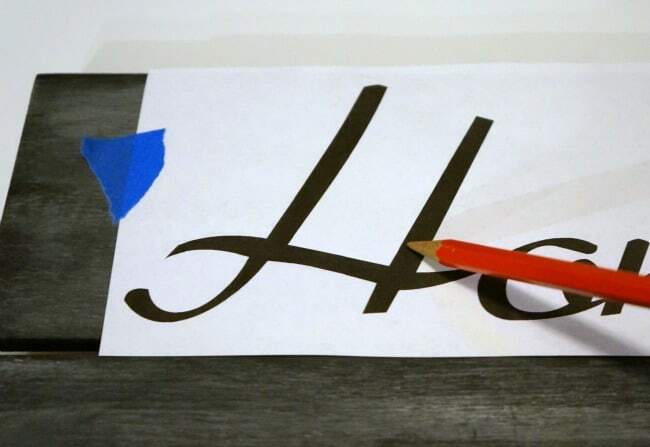 For a detailed look at how easy it is to create beautifully lettered chalkboards check out this video. I started by seasoning my chalkboard, rubbing chalk on it then erasing it. Next, I printed my saying out on regular white paper. I covered the back of the paper in chalk then taped it chalk side down to my chalkboard. Next I traced the words with a pencil when I pulled the paper up an outline of the words was on the chalkboard. From there I just filled everything in. I added a pink paper heart to this sign using card stock and glue. 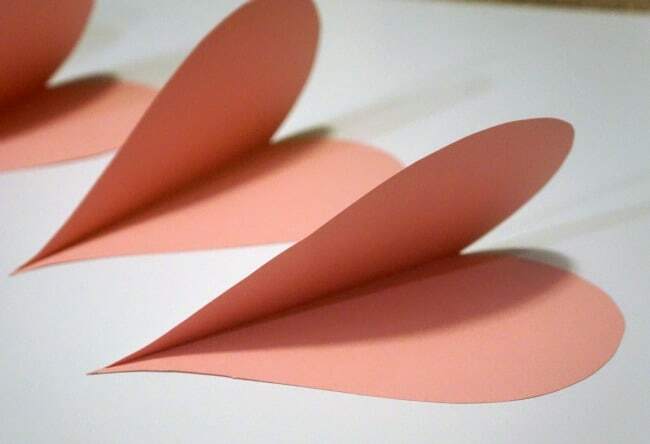 I cut out 5 hearts and folded them in half. Then I glued them together to give them a 3D look. This is a fun project to do with a variety of shapes, here is a quick video tutorial that will walk you through 3D paper creations. I love this sign and how it brightens a very neutral mantel. I also like that everything is temporary, I can just erase this and do something new next month. 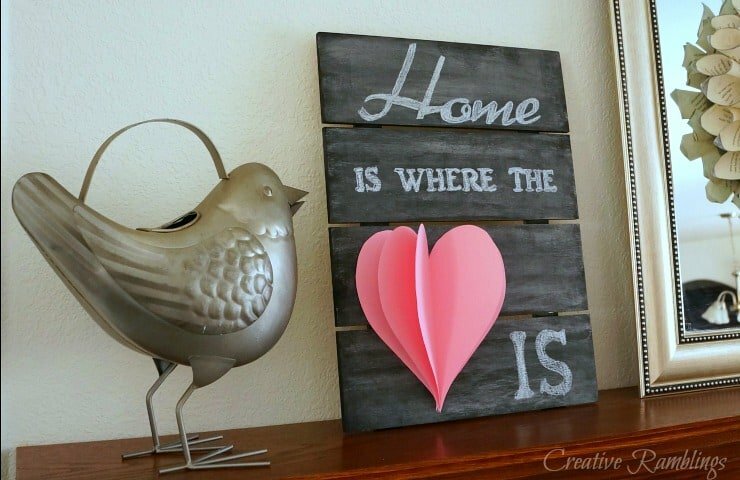 Now take a look at some beautiful Valentine projects from my friends in this month’s Dose of DIY. Sarah this is so cute…I love how you added the heart and gave it dimension ! Too cute Sarah! Super fun sign!